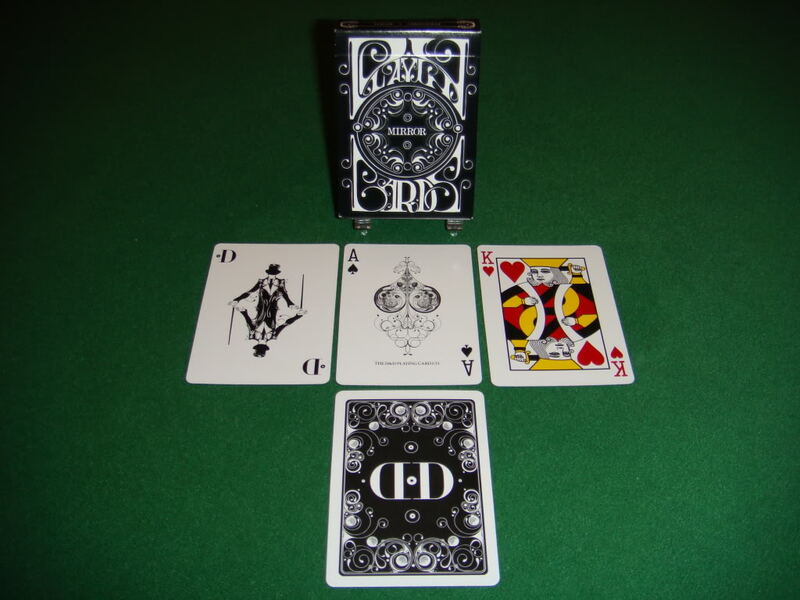 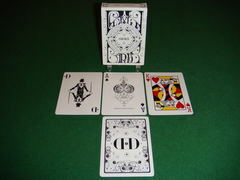 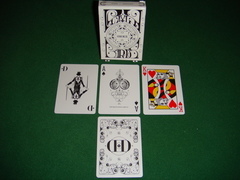 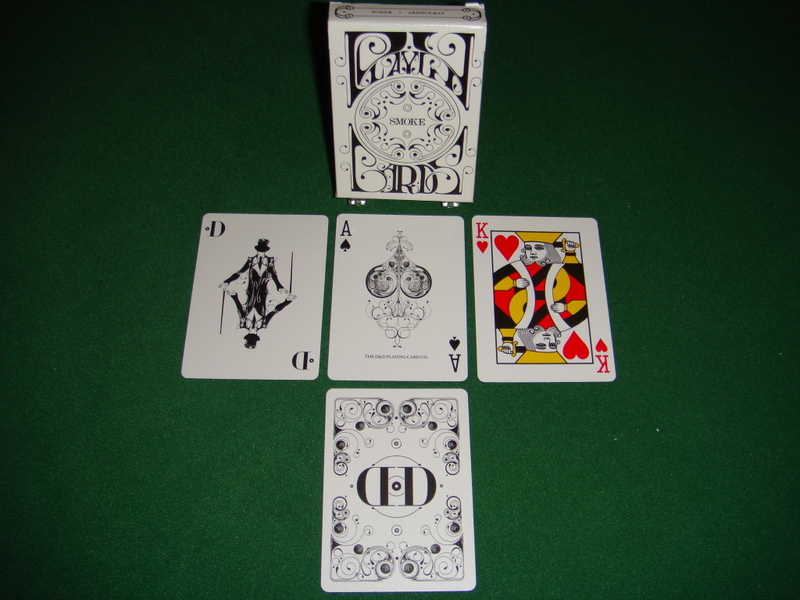 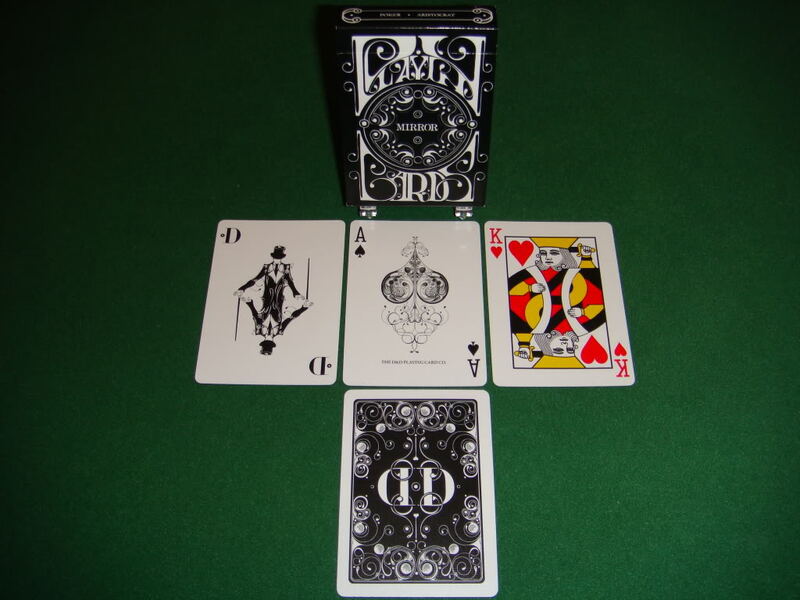 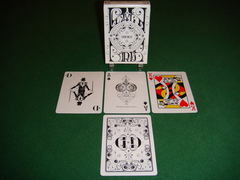 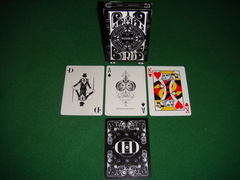 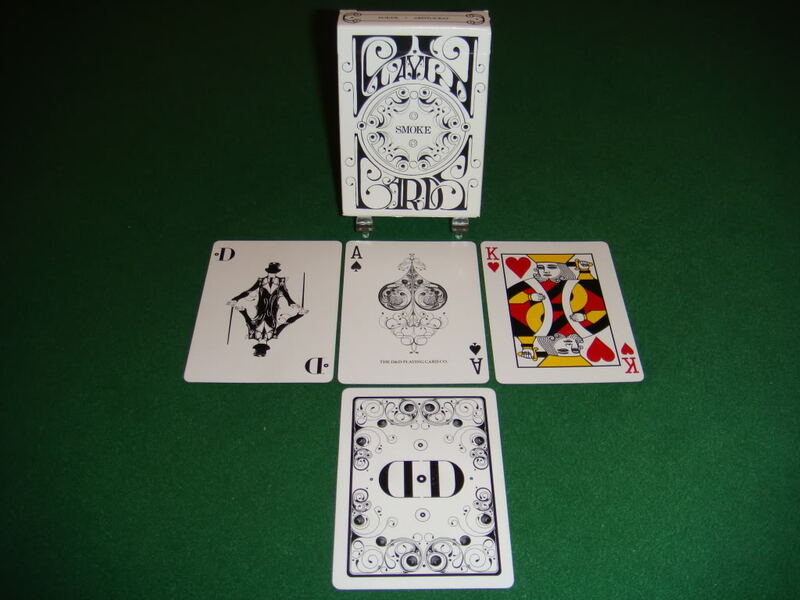 These are the first line of Dan and Dave Buck's signature brand of playing cards, in association with illustrator Si Scott. 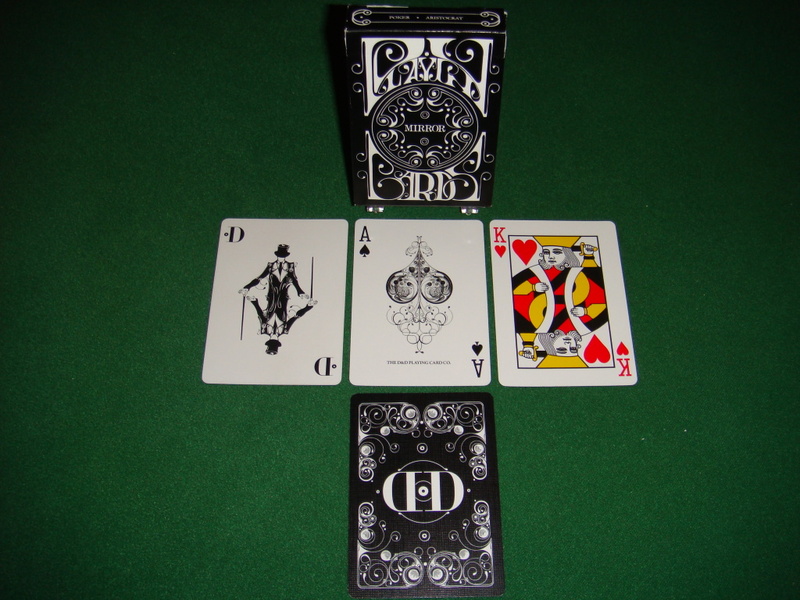 All of the artwork was illustrated by hand in pen and ink. 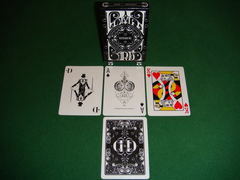 The version names are 1st Edition (V1), Special Edition (V2) and Luxury Edition (V3). 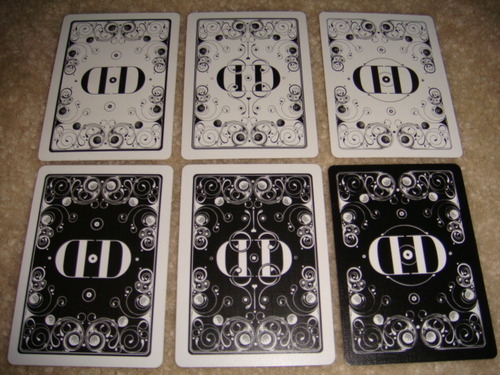 The most significant difference in these three versions are the black borders on the Luxury Edition Mirrors. 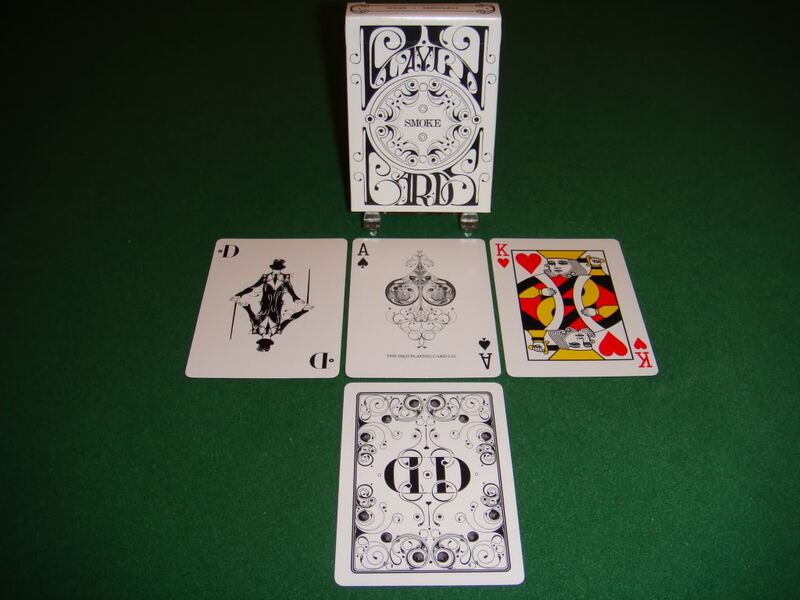 Comes with custom jokers, custom Ace of Spades and a double backed gaff card, and features simplified renderings of the court cards. 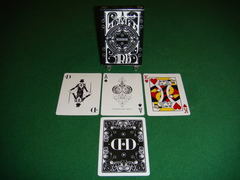 The Luxury Mirror deck also comes with an inverted Ace of Spades.